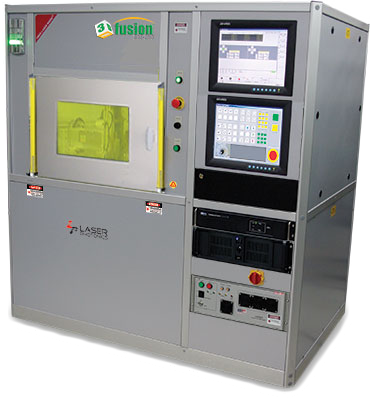 The new approach to 3D Metal printing from Laser Photonics is bringing 3D Metal printing to the next level with improved technology called 3D Fusion Technology. It is delivering few advancements to the well-developed 3D Laser Metal Printing making existent basic process more robust and predictable. Optimizing the system configuration for the end user application provides the significant cost savings, sometimes up to 3 times. From standard models to customized 3D Printing Systems, we consult directly with our customers to optimize each 3D Printer to meet their unique requirements targeting maximum performance for specialized designs, parts and other unique applications. Our discussions allow customers to minimize powder consumption, reduce inert gas consumption, optimize throughput verses surface roughness, minimize powder residue in the process chamber, define optimal laser power requirements, and reduce system costs in relation to customer applications (design for a warhead is different from the design of a medical implant, even if they have similar horizontal cut dimensions). Combined with our extensive experience of integrating Vision Systems into laser equipment, our 3D deep engraving capabilities experience, submicron accuracies of non-dimensional Zero Width Laser Cutting Technology™ equipment together with real size shipbuilding laser cutting machines, these established proprietary advantages position Laser Photonics as one of the preferred premium suppliers of revolutionary 3D Metal Fusion Systems designed for parts quality manufacturing. This Application Specific Approach is for leaders of a world class companies, who need quick prototype for their leading products, new engineering ideas validation, instant market check, in combination with cost efficiency and high quality.